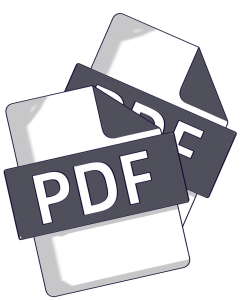 Startseite » Service & Support » Glossary » What is PDF? The Portable Document Format (PDF) was released by Adobe in 1993. The goal was a file format independent of its creator’s program, hardware, and operating system. This was guaranteed through a free viewer and an open specification. Only Adobe’s editing program was fee-based. In principle, anyone can program their own generating program based on open specifications. What’s always been problematic, however, is the growing scope of functionality of PDFs over the course of time. Writing a complete viewer is very difficult. Adobe Acrobat Reader was always the measure of all things and became the standard, even if Acrobat Reader sometimes disregarded its own specifications or revealed ambiguities in them. Programming a generating program is easier if only a limited range of functions is supported. The protection of the portable file format for many applications (long-term, archive, printing) was critically improved with ISO standard PDF/A (19.005-1:2005). Here, a limited scope of function is selected from the specification. With this step, one may presume the high probability that the resulting PDF will be unalterable in the long term, and is therefore reproduction-safe. Another big step was the transfer of proprietary PDF formats to one ISO standard. With this, Adobe voluntarily cuts itself off from the possibility of the format further developing on its own. Instead, it is standardized as PDF 1.7 ISO 32000-1:2008. The second part, PDF 2.0 ISO 32000-2, will be released soon. The ISO standard does allow for enhancements which Adobe continues to use. Unlike in comparable file formats such as Word, with PDFs the focus lies on the exact description of the pages. A PDF page should be an electronic 1:1 template for a printed page. In contrast to a paper document, however, PDF documents have additional mechanisms which make their handling easier for users. It may have interactive directories, bookmarks and previews which the reader can view via Acrobat Reader. The spread of mobile devices with smaller displays has made some of PDF’s additional features important. Good generator programs place marks in the text where it can be wrapped if necessary. Images and other objects can be given additional texts if the portable display is so small that the image is made unrecognizable. PDF files can also include 3-D objects. This offers the opportunity to view designs, like in CAD. Editing is not possible, but individual elements can be added or removed. And notes can be attached, incisions made and portions dimensioned. Well-built PDF files have identifiers for locating structuring elements like headers, tables, keyword directories, and content directories. 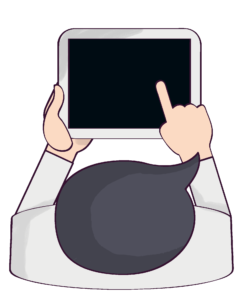 An appropriately outfitted reader can not only read the file, it can allow a visually impaired user to navigate through the file by means of speech input. Whether a PDF file supports such functions can be checked by examining adherence to the ISO standard PDF/UA 14289-1:2012. Increasingly, publications from authorities and official institutions should support this standard. A company puts a large share of its know-how into its PDF documents. Protecting these documents is therefore an important property in PDF. Old content in PDF can be made unreadable through the redaction function. The opening of a PDF file can be secured by a password. There is only one password per file, however. Individual features for handling PDFs such as modifying, printing, or extracting can be turned off in the file. Later modifications to user rights can likewise be secured via password. The safest but most complicated method is by securing the data by way of a separate rights server as part of a digital rights management system. The PDF files are encrypted. The decryption mechanism is found in Adobe Acrobat Reader. The permission server issues decryption permission after the user is authenticated. File-specific and user-specific permissions can be issued in this way. Permissions may also be changed after the document’s physical distribution, as permissions are managed on the permissions server, not in the file. Digital signatures also contribute to the security of documents. The existence of a valid signature in the file format is proof that the document has not been modified since the signature was applied. The author can be determined without doubt through the certificate used. But who owns the documents, and who released them, can also be determined by a certificate. This makes PDF ideal for internal digital signatures. A good PDF generator automatically creates a searchable and tagged PDF (PDF/UA) from the application format. Long-term suitability is then ensured by conversion to PDF/A. 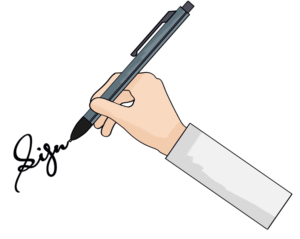 An electronic signature is placed on the document so that owner, author and reviewer can be proven at all times, and so that an original form of the document exists. This can also be done in part, naturally. The document is then stored unprotected in a secure DMS or archive. 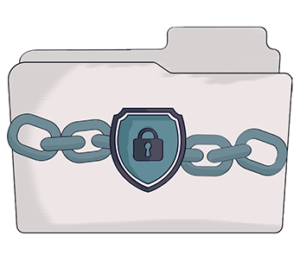 If the document is distributed for use, encryption via digital rights management system is applied, especially for external distribution. The distributed PDF document should always be viewed as merely a copy of the original, which is still located in the home DMS. In converting to PDF format, SEAL Systems can help you. With the Corporate Conversion Server, transmit your files and documents for exchange, storage, archiving and reproduction in PDF format – fully automated and company-wide! Not only will you save time and money, but you’ll also profit from high data security. Do you use SAP, Teamcenter, SharePoint or another system, and have reservations about the costs? No problem: we make sure that the corporate conversion server is seamlessly integrated into your existing IT landscape. Contact us! Want to know more about converting your documents into PDF format? 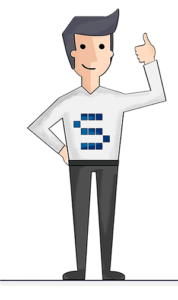 – Our specialists are happy to answer your questions!